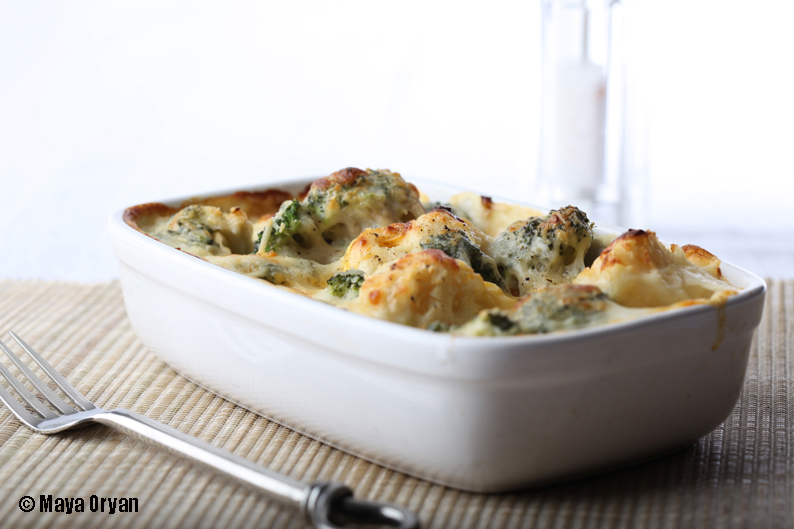 Dad can combine any 3 vegetables to his delicious béchamel sauce and make a palatable gratin. 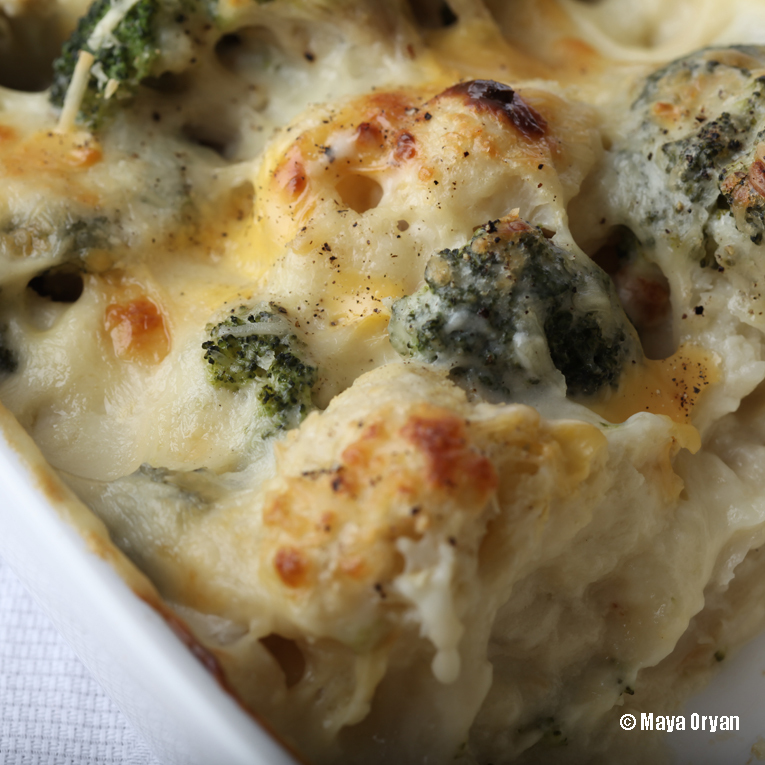 The secret for a delightful gratin is fresh vegetables. Try always to choose fresh ingredients over frozen and use rich cheese on the top. Before long kitchen became my place to unwind, I once bought a cooking book on vegetables and sampled few recipes. I fondly remember Serge eating my first gratin made with cauliflower and carrots! Gratifying! 1. Steam the broccoli and cauliflower until just tender. 2. To make the white sauce, melt the butter in a large saucepan. Stir in the flour and cook for 1-2 minutes to make a smooth paste. Gradually pour in the milk, whisking constantly. Season it with salt, pepper and nutmeg. When the mixture begins to bubble and thicken, remove from heat. 3. Now coat an oven dish with a thin layer of the white sauce then arrange the vegetables in an oven dish and sprinkle with salt and parmesan cheese. 4. Top with the rest of the white sauce and cheeses. Bake at 180°C (350°F, gas mark 4) for 30mn.